Marketplace — Jay Williams Ph.D. The Formula for Permanent Weight Loss, Antiaging, and Optimal Health – Starting Today! 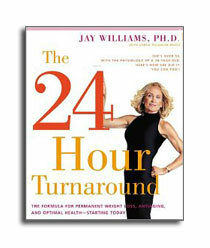 The 24 Hour Turnaround is 8 books in one – a manual of information on weight loss, health, and antiaging. A complete program including nutrition, supplementation, exercise, stress reduction, motivation, natural hormone balance, sleep, hydration, and meditation recommendations, and tips for husbands and children. 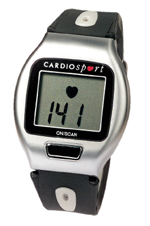 You can simply view (in large numbers) your EKG accurate heart rate – AND – with just a single button press during a workout the watch enters scan mode to display an exercise session timer in hours, minutes and seconds, plus the user’s maximum, minimum and average heart rate of the exercise session. A chest strap with small electrodes picks up an EKG accurate heart rate and transmits the information to the display watch worn on the wrist.